…and the groom wore Converse trainers….. 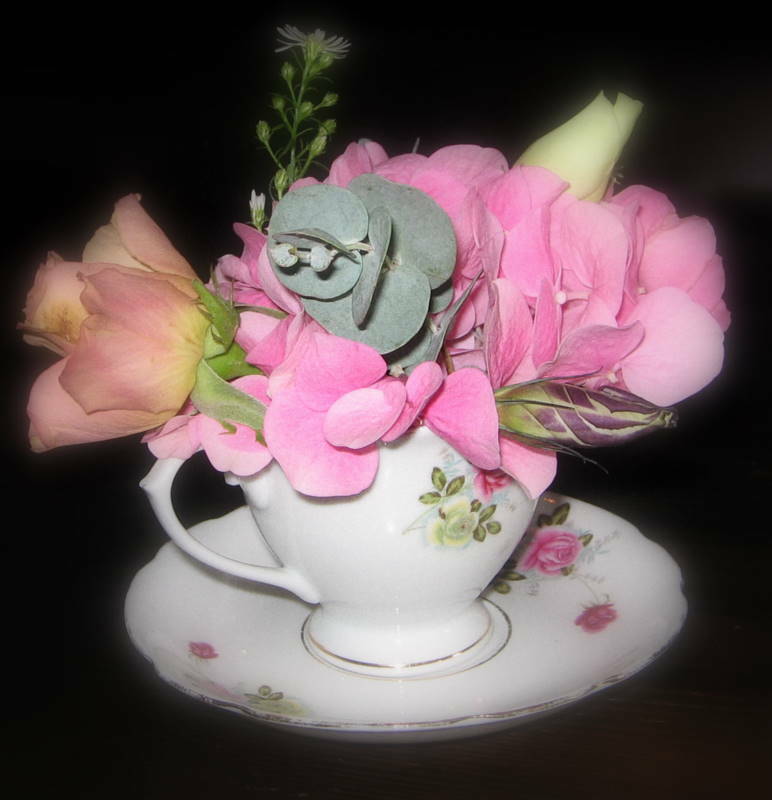 I love weddings and I love that they come in all sorts of different shapes and sizes….. This one was a real mix of the conventional and the unconventional…there was a vintage car and a beatiful wedding dress…and there was a bouncy castle, games on the lawn and a whole lot of fun. 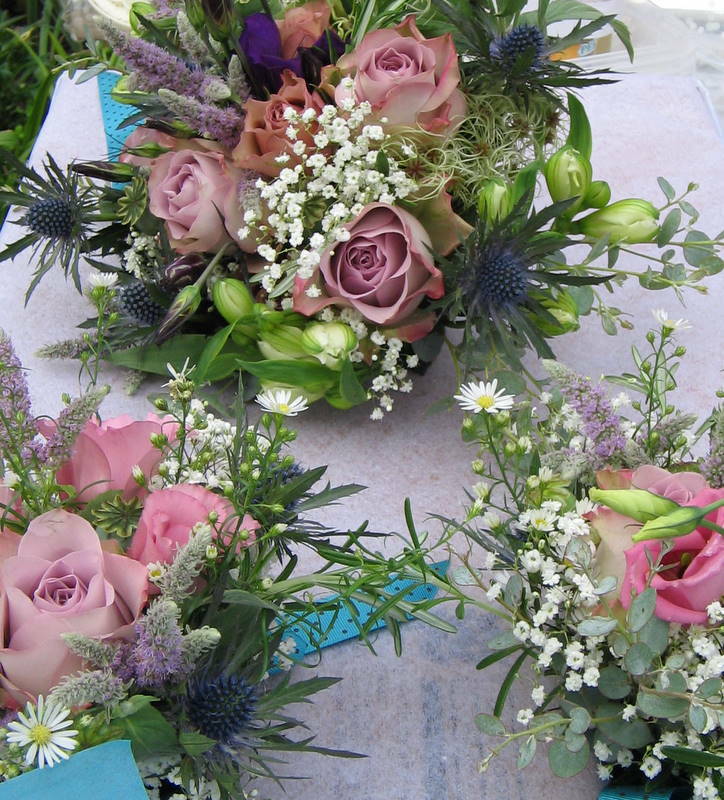 My brief for the flowers was informal, country. Nothing contrived but pretty. The bride’s bouquet and the bridesmaids’ posies were made up of two types of roses, a soft grey mint, gypsophillia, erengium, poppy seed heads and clematis seed heads, lisianthus and rosemary giving a lovely soft vintage feel and there were a gorgeous scent as I bound them together with ribbon to match the colour scheme. 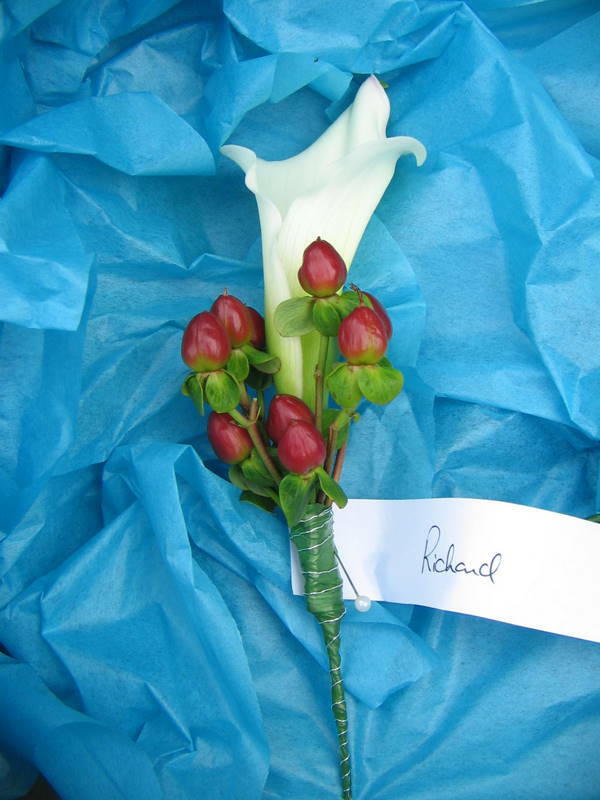 For the buttonholes the groom had a rather smart calla lilly and his bestman had a great big red dahlia. I love delivering the flowers myself to the wedding party. 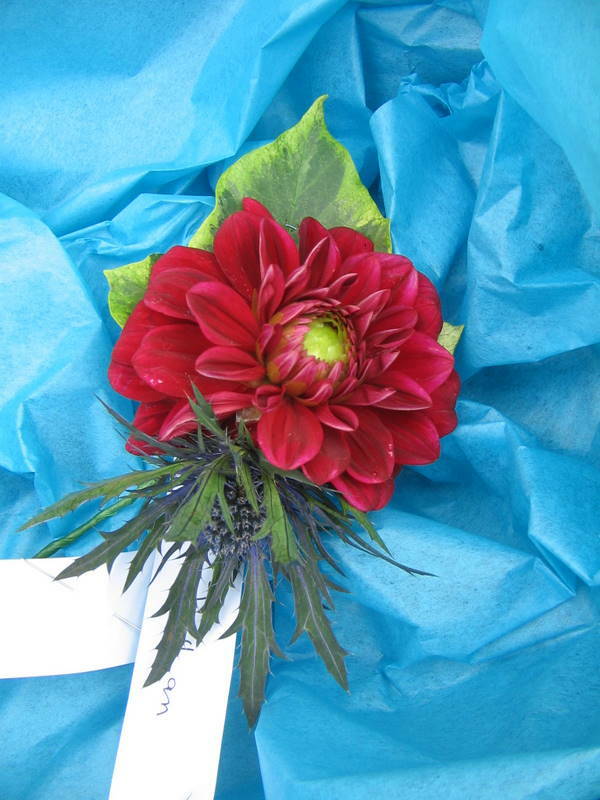 Its always an occasion and everyone I so excited about the day….I catch the excitement myself and am delighted when I see people’s reaction to the flowers. The venue was the Mustard Pot which lends itself to this kind of modern country look so well. 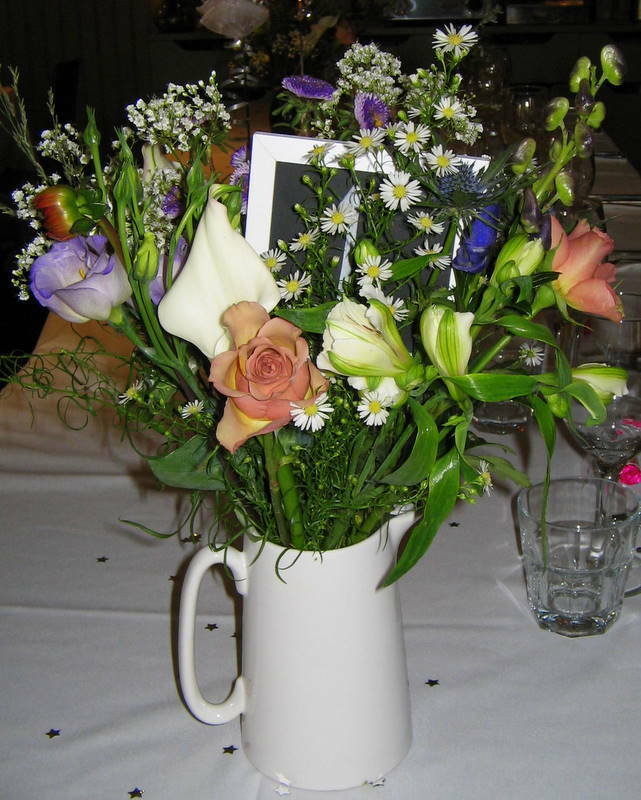 There were assorted jugs of mixed flowers on all the tables with lots of colour continuing the soft country theme. And on the smaller tables I chose filled china cups and saucers. With the fireplaces full of flowers and flowers on the bar and decorating the bay trees beside the front door the place looked lovely.